We know that the Earth has been changing during its long history. However, since humans have been changing the landscape and burning fossil fuels (formed hundreds of millions of years ago), greenhouse gas (GHG) pollution has risen by about 40% since the Industrial Revolution. 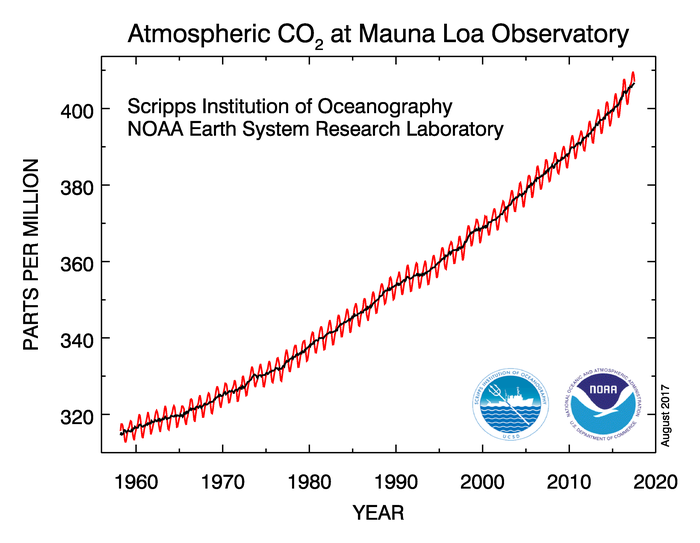 In 2013, GHG concentrations in the Earth’s atmosphere exceeded 400 parts per million (ppm) for the first time. This is the highest level in around 800,000 years (which we estimate based on ice core samples taken from Antarctica). GHGs in the atmosphere, such as water vapour, carbon dioxide, methane, nitrous oxide, and ozone, trap and emit radiation (the greenhouse effect). The resulting increase in the Earth’s temperature means that oceans are warming and acidifying (for more about how climate it changing the oceans near Australia visit http://www.oceanclimatechange.org.au/content/index.php/2012/home/). The Earth’s complex, inter-linked climate systems are influenced by the sun, complex changes in the ocean, wind, atmosphere, land use changes, air pressure changes, convection, even the rotation of the Earth. As changes to these factors take place, so do changes in Earth’s climate systems. Climate change is bringing extreme events, such as flood and drought, which are becoming more common and intense. The changes taking place are happening much faster than most species can adapt. This pace of change is unprecedented in history. Every few years, the Intergovernmental Panel on Climate Change (IPCC) produces a synthesis of the climate science. 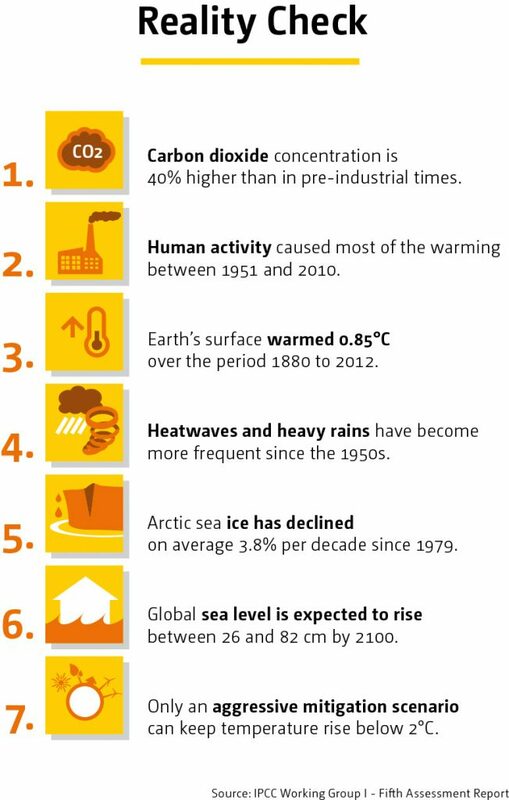 The IPCC Fifth Assessment Report (AR5) Summary was released on 27 September 2013 – read more here. AR5 noted that scientists are 95% certain that humans are the main cause of changes currently underway in the Earth’s climate systems. The concept of climate change has gained public attention in recent decades but researchers have been investigating the chemical and physical science behind it for over 100 hundred years. 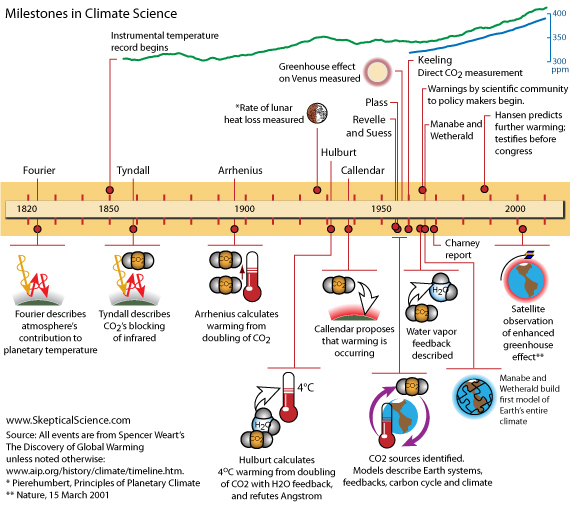 This timeline from the Skeptical Science website provides some key milestones in the development of the science about climate change, the greenhouse effect and global warming. For more about how the history of climate science unfolded and was discredited through the media, read Merchants of Doubt, by Naomi Oreskes and Erik M. Conway – now a film (see below). This 50 minute ABC documentary (2011) looks at the relationship between El Nino, La Nina and climate change. For people in the northern hemisphere, ever wondered why it’s so cold in some areas? This 6 minute film explains the role of the polar votex / jet stream in weather variability – published by Yale Climate Forum in January 2014. The United States Environmental Protection Agency has produced a thorough explanation of the causes of climate change. The World Bank presents this 2.5 minute film about the impacts of climate change and best solutions to protect the environment, our society and our economies. Video posted by the American Meteorological Society featuring Paul Higgins on the basics of climate change. Australia is already known as the driest continent on Earth and a land of extremes. Australia also experiences impacts from climate phenomena such as the El Nino Southern Oscillation. These factors, combined with climate change will make Australia’s climate challenging in terms of water and food security. Here’s a government funded animation designed to help explain how this works. Climate change will not only affect food and water security but also the economies and businesses of the world which have come to rely on the supply of energy from fossil fuels. Organisations such as the United Nations, the International Energy Agency, the World Business Council for Sustainable Development and others have recognised the concept of ‘unburnable carbon’ and the potential for economic disruption in the transition away from fossil fuels. Read more about unburnable carbon at the Climate Institute’s website and in The Great Disruption by Paul Gilding. 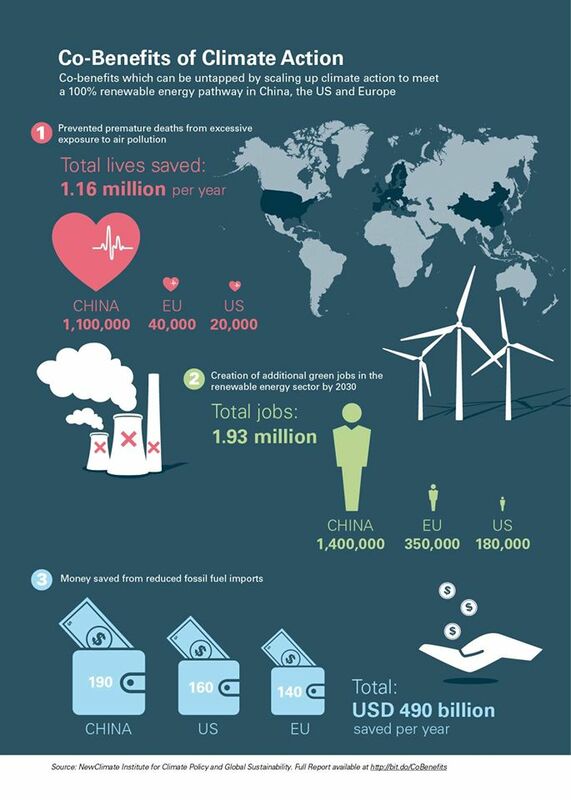 A 2015 report from the NewClimate Institute: Billions of dollars and millions of lives will be saved, and millions of jobs created by countries committing (and delivering) strongest possible emissions cuts. Are Australia’s climate change policies working? It is almost impossible to attribute changes in Australia’s GHG or carbon emissions to any particular policy or change such as electricity price rises or the global financial impacts. However, these documents can provide some insight into factors that are likely to be influencing Australia’s performance in relation to climate change. In 2013, ClimateWorks produced a series of reports about how Australia is tracking in relation to a low carbon economy. In May 2013, this event (1 hour and 40 minutes) was held in relation to Australia’s emissions caps and targets. It included speeches from the now defunct Climate Change Authority (which included a stellar membership including business interests) as well as WWF and CSIRO. The seminar was presented by the Centre for Climate Economics and Policy at Crawford School of Public Policy at The Australian National University. It can be said that humour is one way to deal with problems that seem overwhelming. For a lighter, more humorous look at climate change, check out the top 10 funniest short videos as listed by journalist, Graham Readfearn on his blog here. See also Climate Adaptation and Mitigation (including the Paris Agreement).